Introduction: Hello, fellow Beavers! I have been interested in film since I viewed a Chaplin festival on PBS when I was around 9 years old. I credit DVD with expanding my horizons to fill an almost ravenous desire to seek out new film experiences. I currently own approximately 7500 DVDs and have reviewed over 3000 myself. I appreciate my discussion Listserv for furthering my film education and inspiring me to continue running DVDBeaver. Plus a healthy thanks to those who donate and use our Amazon links. 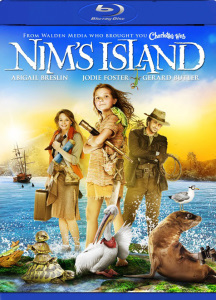 "Nim's Island" is a combination of "Robinson Crusoe" and "Home Alone," if you can envision the stranded party as a preteen girl who has the survival skills of someone twice her age. Nim's aquatic adventures and those on land provide the majority of thrills in this exhilarating and enchanting family picture. It's the best I've seen this year and highly recommended for girls and for boys, too. The movie's endearing qualities are enhanced by a cast raring to go: Abigail Breslin, whose athletic shape as Nim may surprise "Little Miss Sunshine" fans; Jodie Foster as Alexandra Rover, the author of Nim's favorite adventure books; and Gerard Butler, doing double duty as Nim's loving dad, Jack, and Alex Rover, the adventure hero Miss Rover created. Video: NOTE: The below Blu-ray captures were ripped directly from the Blu-ray disc. I'd say the image has moments of looking very strong but overall is rather unremarkable - especially considering it is 1080P. This could be the cinematography as well, although it did have some stellar moments with underwater sequences and a lot of outdoor tropical shots that looked akin to a nature documentary. I can't pinpoint a specific complaint as it seems flawlessly rendered the MPEG-4 AVC encode just doesn't seem to lift the visuals high enough to fully satisfy as 'breathtaking' - which appeared to be the goal of certain scenes. The feature film on the Blu-ray takes up 30.4 Gig of the dual-layered disc and for all I know this may be as good as this film can look - certainly detail and colors can't really be flawed. Noise is prevalent in backgrounds but on my 43" plasma it simply looked very 'nice'... but certainly not stunning. Audio: The DTS-HD Master Audio 5.1 sound track doesn't get much of a workout - sometimes with the inclement weather (rain, storm sounds etc.) but it is effectively underused. I wouldn't say I found it overly dynamic. The score is nothing memorable - coming across as a cutesie byproduct of this modest family film. Voices are always clear and clean. Like many other Blu-ray's - there are two 5.1 DUBs if required. There are also optional English SDH, English, French, or Spanish subtitles available. Extras: I don't own the SD edition but most supplements are probably duplicated from that lesser edition with a couple here being 'Blu-ray unique'. The first commentary with Abigail Breslin and Jodie Foster is fairly sedate and seems geared more towards the young adults. There is discussion of some effects as well as animals but it's a shame that the intelligent Foster was kind of held-back from expanding upon more of her production knowledge or about her craft. It was okay but adults would probably much prefer the second commentary with director's Mark Levin and Jennifer Flackett. I thought they did a pretty good job explaining decisions made for the completion of the film (adaptation etc.) and was well worth the time spent for anyone who may be even remotely keen. 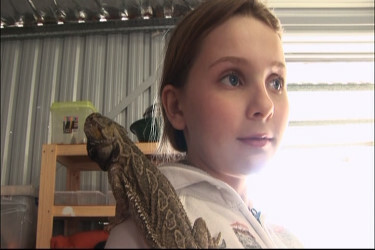 The rest are some short (less than 6 minutes each) featurettes with a lot about the animals and Abigail Breslin - which is all very fine if repeated elsewhere. 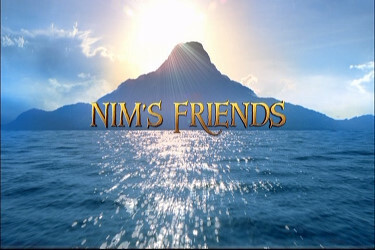 There are three sets of deleted scenes - one about the parts removed from the book - namely Nim's interaction with the animals of the island. Specific to this 1080P edition are 'Nim's Spyglass' Bonus Video Mode (untested) plus 3 games and a running trivia track. 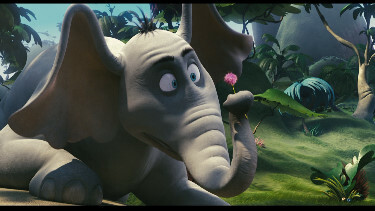 Lastly we get HD trailers for Ice Age: Dawn of the Dinosaurs and Horton Hears a Who. As far as extras go - a fair amount was put into this. BOTTOM LINE: I actually watched this twice - separately with both of my two boys who were perhaps a bit young to appreciate it as it didn't hold either's attention for very long. I suggest the market for Nim's Island may be fairly narrow with the target group of 'young girls' distancing the film from the rest (of us). It is always impressive when filmmakers can find inclusion for all sorts of individuals to warm to their product but frankly I don't think this effort achieved that. The Blu-ray transfer looks very good but the visuals are not 'Wowsers'. Surely far ahead of its SD counterpart but unless you have some extremely keen daughters - I'd say this is not a recommended film for everyone's tastes and I'll admit to watching just about anything with Jodie Foster. So, thumbs sideways leaning to a downturn.